Boussu-Lez-Walcourt is located south of Charleroi off the N40 between Beaumont and Phillipeville. From the Charleroi ring road turn onto the N5 in the direction of Phillipeville. Follow the N5 to the junction with the N40 and turn right onto the N40 in the direction of Beaumont. Follow the N40 to the village of Boussu-Lez-Walcourt and turn left into rue Renault. At the T-Junction turn right into rue de Fronia and the cemetery is along here on the left. 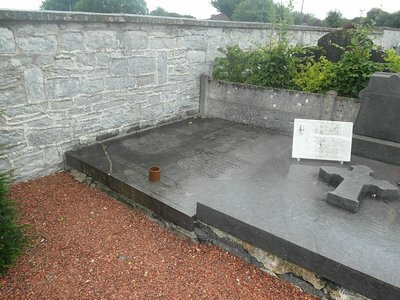 The three graves are marked by a granite slab. 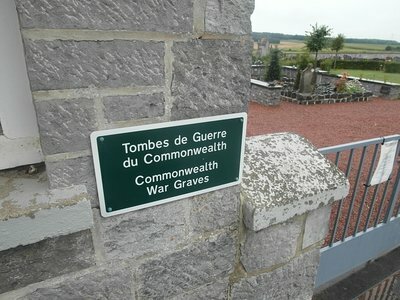 From the entrance of the cemetery turn right into the third gravelled alley. The graves are at the end of this alley against the boundary wall. Boussu-lez-Walcourt Communal Cemetery contains two Commonwealth burials of the First World War and one from the Second World War, all of them airmen. 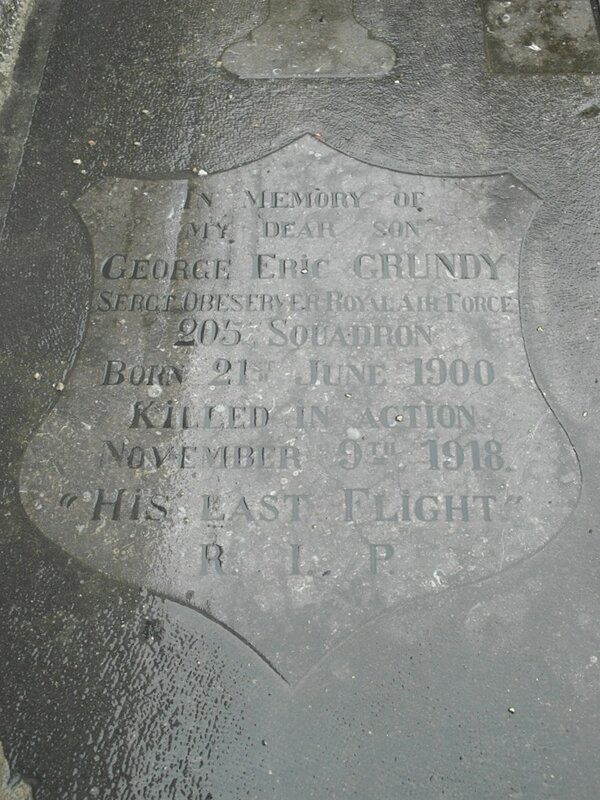 36534 Serjeant George Eric Grundy, 205th Sqdn. and 4th Bn. 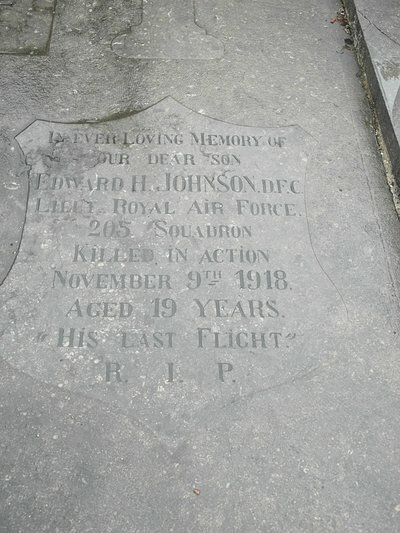 Wiltshire Regiment, Royal Air Force, died 9th November 1918, aged 18. Son of Mrs. B. Grundy, of Sparkhill P.M. Hall, Stratford Rd., Birmingham. Lieutenant E. H. Johnson, D. F .C., 205 Squadron, Royal Air Force, died 9th November 1918. 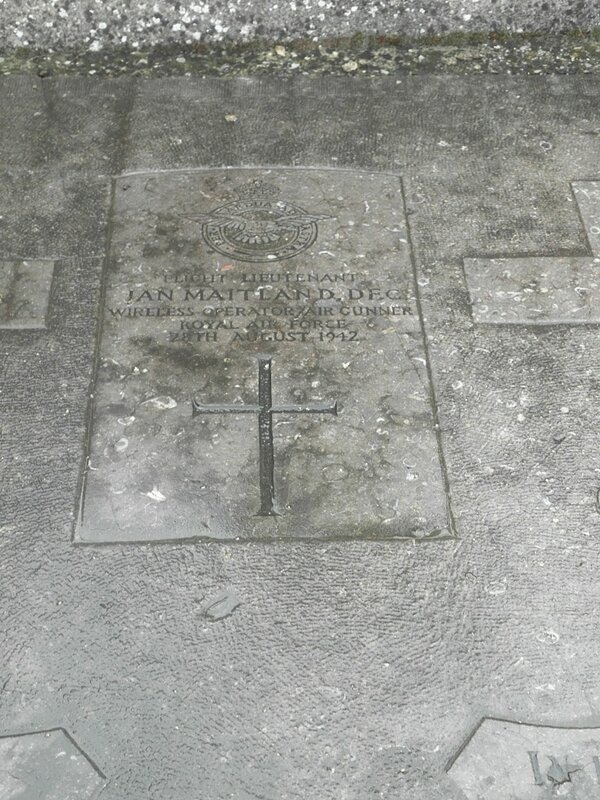 81408 Flight Lieutenant Ian Maitland, D. F. C. Wireless Operator/Air Gunner in 408 (R.C.A.F.) 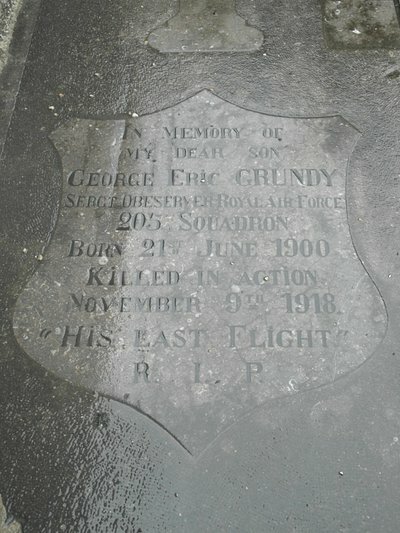 Sqdn., Royal Air Force Volunteer Reserve, died 28th August 1942, aged 37. Son of John and Barbara Maitland, of Appin, Argyllshire.